The Heart of the South West offers investment and growth sites of every type, size, price and location. The team can provide bespoke site searches for potential investors, please contact us for details. The area has 3 sites offering Enterprise Zone status and a Food Enterprise Zone. Enterprise Zones offer simplified planning, business incentives and support. Located in the award-winning Exeter and East Devon Growth Point, Exeter and East Devon Enterprise Zone in Devon benefits from significant infrastructure investment, which includes a £12million upgrade to Junction 29 of the M5, a new £9million bypass linking the Airport to Skypark, new train station in the new town of Cranbrook and upgraded bus, cycling and walking links. Located adjacent to Exeter International Airport, the Zone is within easy reach of major UK and European cities. 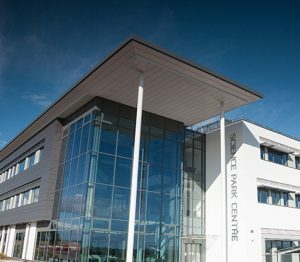 Exeter Science Park offers a range of start-up, grow on and larger space and already hosts an impressive range of big data and science tech companies, clustered around the Met Office’s new £97 million Supercomputer. Sky Park, to Exeter International Airport, is set to become one of the South West’s most significant business parks, combining office, industrial and distribution space with local facilities and a hotel. Cranbrook Commercial Area, the commercial heart of a new town which will grow to over 20,000 residents by 2031. The Bath & West Showground, near Shepton Mallet in Somerset has been awarded Food Enterprise Zone status by the UK Government. The site is currently undergoing a £100 million regeneration programme to offer opportunities for businesses in the rural economy. 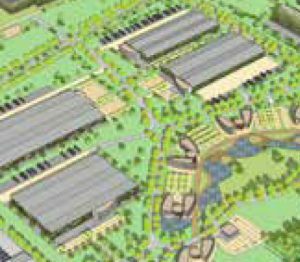 A 1,000m2 exhibition hall & conference centre will enhance the long-established Royal Bath and West Show. The site will also offer an Agri-Tech & Food Innovation Centre. For further information please click here. 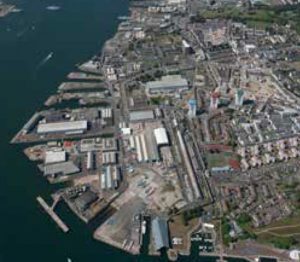 Oceansgate occupies 350,000m2 adjacent to Devonport Dockyard, Plymouth. One of the largest dockyards in Europe, it provides a unique complex of office and industrial buildings and docks for commercial use. It has direct deep water access to the English Channel and an unrivalled location for a wide range of marine businesses. Development of office and industrial space for marine and advanced manufacturing companies is already underway. Further developments will include access to deep-water docks and jetties and a Marine Technology Centre. For further information please click here.